Over the years, our favorite introduction to Canadian prime ministers has been Pat Hancock’s colorful overview, The Kids Book of Canadian Prime Ministers. It is geared toward middle schoolers but is also useful as a quick review of Canadian history facts for high school students. 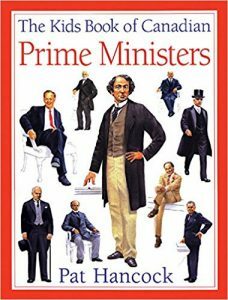 The book covers Canada’s first 21 prime ministers, from Sir John A. Macdonald to Paul Martin. The author begins with his (or her) youthful adventures and dreams, outlines the entry into politics, and discusses main events during each prime minister’s time in office. She summarizes exciting and important aspects of Canadian history, from the building of the trans-Canada railway (and the associated scandal) to Quebec’s turmoil about independence (and the associated terrorist crisis) and shows how the prime minister at the time dealt with these and other issues. Each section includes detailed biographical information, and the book is full of interesting and relevant illustrations. Whose main advisor was his wife? Who won a Nobel Prize? Who died while at lunch with the Queen? Who built a secret staircase to be able to slip out of his office unnoticed? Although this appealing, information-packed book is already over ten years old, it is still a very good guide to Canada’s first 21 prime ministers. If your tweens and teens study the contents of this book, they will have gone a long ways to knowing some of the main people and issues in Canadian history and will be ready for more in-depth study. What’s more, they will not have been bored and may even have gained an appreciation for Canadian history. Note: After reading this book, high schoolers would enjoy watching The Prime Ministers, an interesting, informative, and well-done set of mini-biographies produced by Holly Doan; we have watched a few of these. Our teens have also used Prime Ministers of Canada by Jim Lotz. These books form part of our multi-year, literature-based Canadian History course . 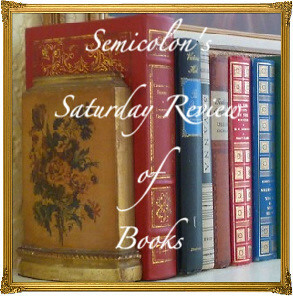 This review may be linked to Finishing Strong , Trivium Tuesdays, Saturday Reviews, Booknificent Thursdays, Literacy Musings Monday, and The Book Nook. Disclosure: We borrowed the books from the library and I am not compensated for this review. 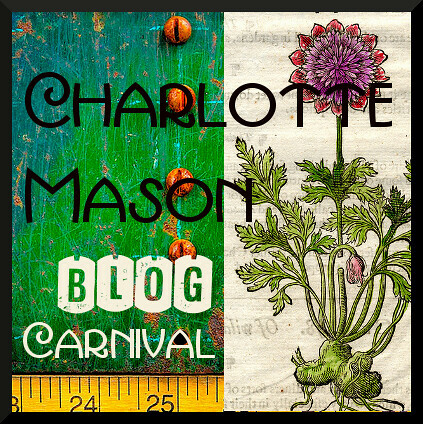 Posted in: Canadian, Quotations, Reviews, Reviews: Curriculum, Reviews: Nonfiction. We, too, have enjoyed the book about Canada’s prime ministers. Although I’m not sure where it is, I know we have it somewhere. I’m almost positive you would enjoy watching The Prime Ministers produced by Holly Doan. Perhaps your library would have it. On another note, I really, really enjoyed The Waiting and hope to write about it some time. Thanks for that recommendation!